Nimbus Disaster Recovery Cloud automates the entire Disaster Recovery process. Combined with source-based deduplication, powerful hardware platforms, and highly reliable data centers Disaster Recovery is just a mouse-click away, easily tested, ready to run, creating a level of reliability previously known only in high-end military and data center applications. 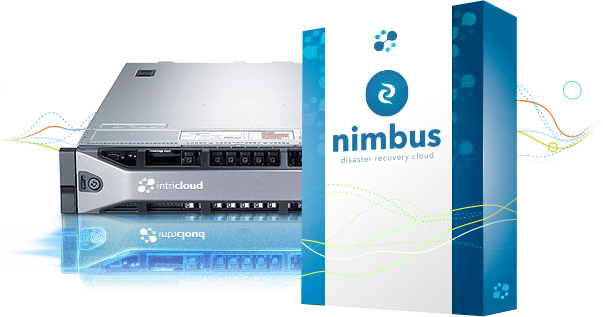 The Nimbus Disaster Recovery Cloud provides a unique way to recover the most critical applications and data in the cloud after any storage, systems or site failure. Critical applications are always ready-to-run (or test) in the Nimbus Disaster Recovery (DR) Cloud by working in conjunction with the on-premise High-Availability (HA) Appliance. There is no need to ship new hardware, or even construct a machine from an image after a disaster. The recovery time is measured in minutes, not days or weeks. If your primary site goes off-line for any reason, your administrator will be alerted and with a single click the Nimbus Disaster Recovery Cloud will transparently take over. Your users will be reconnected to their applications and data in less than 5 minutes (RTO). With our super-efficient incremental updates and always – current merge technology, your applications and data can be as current as 15 minutes (RPO). Also, you can temporarily run system and applications in the Disaster Recovery Cloud while rebuilding production site. No Capital Expenditure: With Nimbus Disaster Recovery, there is no need to invest in an costly hot site and spend months implementing your Disaster Recovery Plan. Just plug-and-play our Nimbus appliance to your network and we do the rest. Remote Management: You can manage the Nimbus Disaster Recovery Cloud online or on your mobile device. You can even restore an entire system without setting foot inside your datacenter. You’re servers are up in minutes and your users will never know the difference. Enterprise-grade Disaster Recovery: Our Nimbus Disaster Recovery Cloud solution backups your data and servers to the cloud, plus it performs self-aware testing of your data and your servers, so you don’t lose time or money if your data center goes down. Easy to install, configure and administer: You don’t need an IT army to set it up-or make it work when you need it. Just set it and forget it! Sandbox system testing: Besides automated daily testing of the Disaster Recovery site, you can setup a sandbox area to test out system patches and updates before pushing them to production, thereby eliminating any need for redundant test servers. Or worse, not testing patches or updates at all. Highly cost-effective: Nimbus Disaster Recovery Cloud solution results in dramatic cost reduction versus a traditional DR site. Our transparent pricing protects your budget. All data transferred to the Nimbus Disaster Recovery Cloud will go through a 256-bit AES VPN tunnel directly connecting the cloud to the local appliance. There is a dedicated firewall isolating each individual virtual network enabling access to the DR recovery node. All connections to the DR site are done via VPN to that firewall. Nimbus Disaster Recovery Cloud is tested daily and performed automatically on the servers. Because of cost and complexity, these tests are most often not ever performed with traditional back-up cloud solutions.